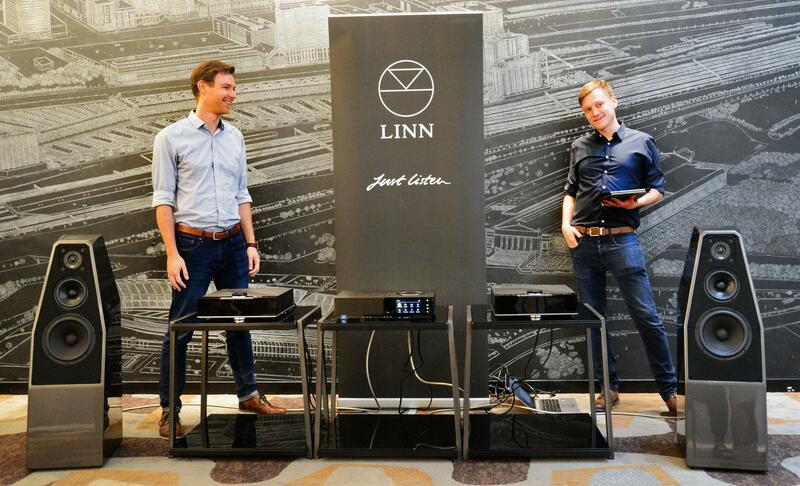 Tuesday, September 18th, 2018, saw renowned Scottish audio manufacturer Linn Products, Ltd., playing host to a small group of industry professionals at the James Hotel in the famous Magnificent Mile of Chicago. The purpose was to announce Linn’s return to the U.S. market with the launch of its configurable music streaming product, the Selekt DSM. 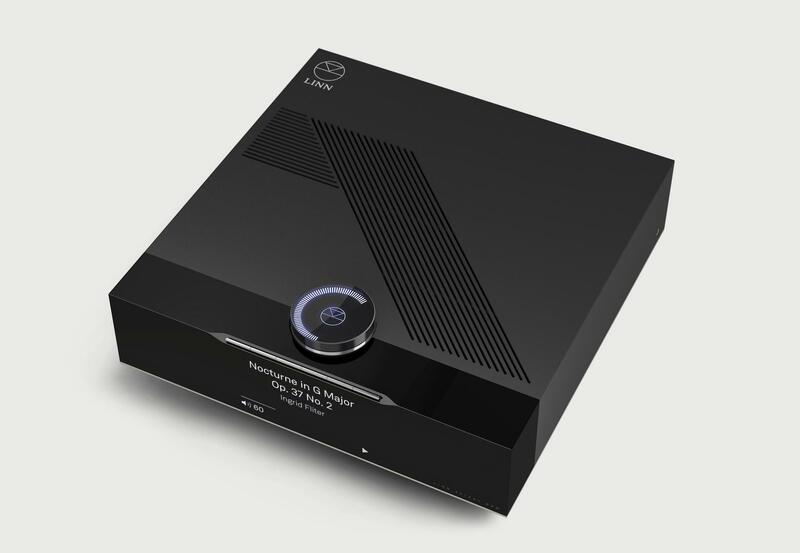 Linn was at the fore in recognizing the potential for streaming music over broadband home networks, and was an early adopter, committing to this path in 2007 with the release of the Klimax DS. Coincident with this announcement, Linn also commenced the phasing out of optical disc players, and made serious adjustment to its U.S. distribution model. In fact, up until now, Linn distribution for the U.S. market has been handled by Tannoy of Canada. The Selekt DSM is a new high-performance network music player configurable at the point of purchase to suit any customer’s needs. At its heart is a streaming music player/DAC/preamplifier, including a phono preamp, priced at $5200. But the Selekt is further configurable to be a single-box solution with integrated stereo amplifiers for $6825. Yet another choice, at $7150, is to upgrade to the Katalyst DAC, which offers “improved data optimization, a superior master clock, independent power supplies, new ultra-low distortion output driver, and crucially, for the first time, a high-stability reference-level input.” You can also select both options, adding integrated amps and the Katalyst DAC for $8755. Technical specifications, supported formats, and more may be seen at Linn’s website. Everyone met informally in the foyer of the Great Room West on the second floor around 10:45 a.m. for a brief meet-and-greet and a buffet-style breakfast run by Linn Marketing Team Leader, Sarah McKeeman. By 11:00, we headed into the comfortably arranged Great Room West for the keynote presentation by Gilad Tiefenbrun. Gilad is both Linn’s Managing Director and the son of Linn founder Ivor Tiefenbrun. During his discussion, he joked that he was “founded” just months after the company came into being in 1973! He also made it quite clear that he was proud of the fact that Linn is one of a very few family-owned-and-operated businesses still in the market today. 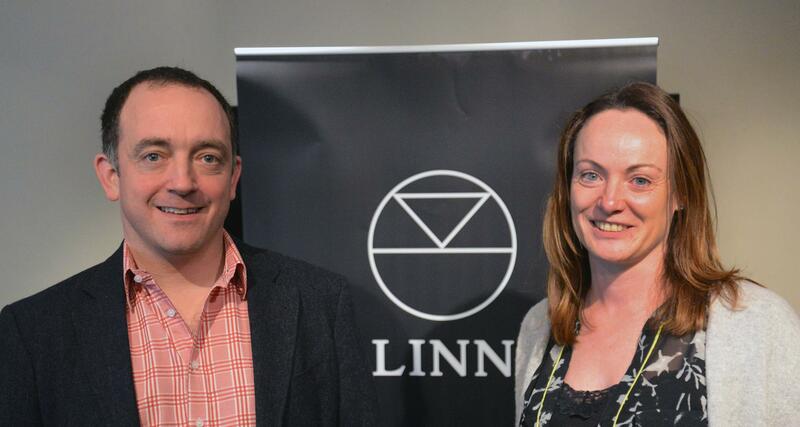 He assured us that Linn would continue to do what it does best by leveraging the clear advantages that come from doing all design and manufacturing in the same facility. The company is committed to its customers—current DS products can be fully upgraded (at the dealer or factory, dependent on casework) to the latest versions, both hardware and software, and Linn intends to continue that practice of planned upgrades moving forward. I also learned that Linn had recently spent over £2,000,000 on new manufacturing technology, including vapor-deposit soldering as well as three- and five-axis CNC machines. After Gilad, it was time for Jen Cassidy, Linn’s Sales and Marketing Director, who laid out the goals and plans that Linn has for actively supporting and building its U.S. retail partnerships. I have to admit, Gilad and Jen outlined a very compelling, complete, and solid plan to re-introduce, engage, support, and grow the brand in the U.S. market. From the Selekt DSM’s prominent, jewel-like dial, with six beautifully integrated and programmable smart buttons, you are granted instant access to your favorite music. It is possible to operate the product without the need for an app. The cut-glass dial begins to glow when your hand nears it, and it turns with remarkable precision in response to the touch. With its contextual tilt and press controls, you can start and stop a stream, cycle through a play queue or list of radio stations, and even switch to any other connected sources. If you are anything like me, you will be drawn in by its remarkable good looks, its smooth feel, and the resultant musical experience. Those customizable smart buttons have been crafted to feel like piano keys and respond instantly with detailed information appearing on the onyx-black OLED display on its face. Using Linn’s new Pins feature, each button can be assigned to activate its own playlist, genre, or artist either from a local collection or a streaming service such as Tidal and Qobuz. The buttons can also be set to a radio station or a physical source. Finally, Product Design Engineer Peter Harrison talked about all the new features in the latest version of Linn’s integrated proprietary room-correction software, known as Space Optimization. Originally a static solution that was not terribly flexible, it allowed for standing-wave correction for rooms of rectangular shape and physical placement within the room, and could deal with amplitude-based room modes (i.e., one-note base). The new version is dynamic, with all computing managed in the cloud rather than on your local device. Operating from a new interface in an app called Kazoo on iOS, Android, or via a web portal from a browser in Windows or OS X, Kazoo takes a three-pronged approach to addressing room modes, speaker and listener placement, and time-delay management. This newest version now accommodates non-standard-shaped rooms, has the ability to address time-domain room modes (i.e., boominess), and addresses room surfaces and structural features by taking wall and floor materials and objects such as doors and windows into account. Finally, several configurations can be stored and recalled, so that if the user makes a mistake, he can, for instance, restore the settings that his dealer helped him dial-in on setup. Very effective! By now, it was nearly 1:00 p.m., and it was time for some good old-fashioned demonstrations. Lead by Stephen Hume and Michael O’Rourke, Linn Brand Ambassadors, the first of two demo rooms was set up with a Naim Unity Nova ($7495) streaming unit, a Selekt DSM with integrated power amp ($6825), and a Selekt DSM with integrated amp and the Katalyst DAC ($8755), powering the Wilson Audio Sabrina speakers ($15,900/pair) in turn. Loudspeakers were connected with the high-quality Linn k200s two-core speaker cables ($15.80 per meter). The same track was played for 30 seconds on the Naim, then repeated, then the speaker cables were swapped rapidly and that same selection was played on the first Selekt DSM. The differences were readily apparent. Timbre was more honest overall, and there was a greater level of transparency and dimensionality. Next up, another track was played for 30 seconds on the first Selekt DSM, then repeated, then the speaker cables were swapped rapidly, and that same selection was played on the Selekt DSM with the Katalyst DAC. Again, the differences were clear; even greater transparency as well as an obviously more organic and three-dimensional presentation. These efforts were followed by Space Optimization demonstrations using Selekt DSM with the Katalyst DAC. In a similar demo modus operandi, yet another track was played for 30 seconds, then repeated as before. Then, after enabling Space Optimization, it was played back again. I have to say, this made for a considerable improvement. Bass was cleaner, with notably better transients, everything was clearer and better focused, and the entire spectrum took an unmistakable step closer to naturalness. Further, the soundstage blossomed, both in expanding outside, behind, and a bit in front of the Sabrinas, as well as offering much more definitive location and sizing of instruments. Overall, this proved to be the most effective demonstration I’ve yet witnessed of any room-correction software. Moving to the second room we found a Selekt DSM with amplifiers ($6825) staged against a Select DSM with Katalyst ($8755), but this time both used Space Optimization. Both were feeding an Akurate 2200 amp ($5200), but in this room, the speakers were the Bowers & Wilkins 804 D3 ($9000/pair.). Cables were again the Linn k200 speaker cables, and interconnects were the Linn Silver balanced interconnect cables ($56 per meter unterminated). Our time in this room, which afforded us longer listening periods to musical selections much more to my liking, only served to drive home the impressions we had formed with the original demo—a clearly more organic overall presentation, enhanced spatial information, and a clearer, more focused soundstage. To this listener, the Linn Selekt DSM represents an elegant and extremely versatile product for music lovers. It is a well-designed, beautifully executed, and utterly logical and scalable solution for even the most demanding audiophile. I suspect that U.S. customers will fall for it as readily as I have. The Selekt DSM with integrated amplification and the Katalyst DAC are set to arrive for my audition in the near future, so stay tuned for a more in-depth first-hand report.